A user friendly call recording system is essential for improving your sales calls and responding to customer feedback. 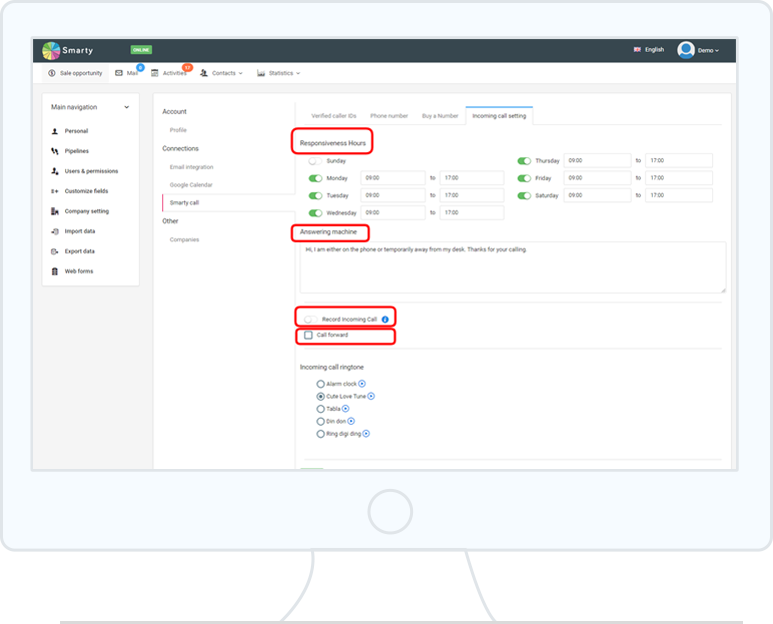 Smarty will help organise all recorded calls in a simple coherent way and allow you to add tags to help group them. All this makes for a quick and efficient customer relations improvement service. 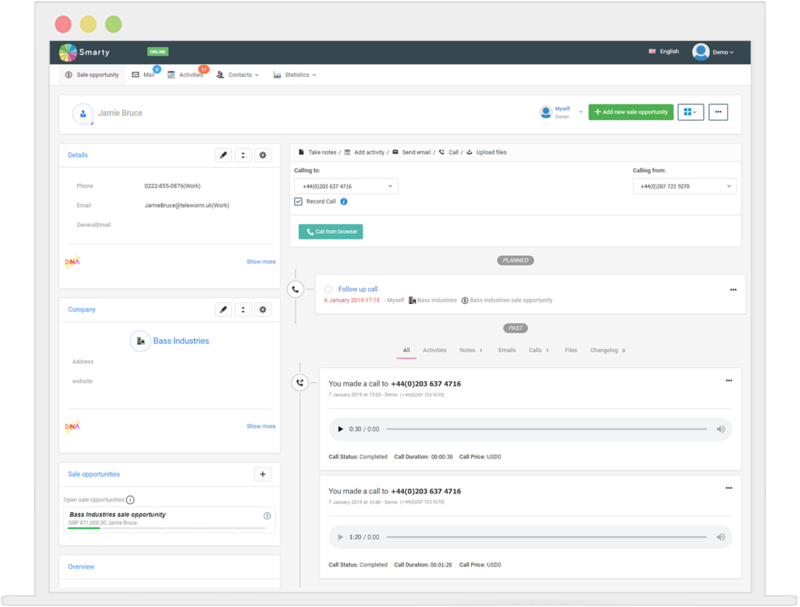 Ameliorate your customer services experience by using Smarty to record and organise sales calls. 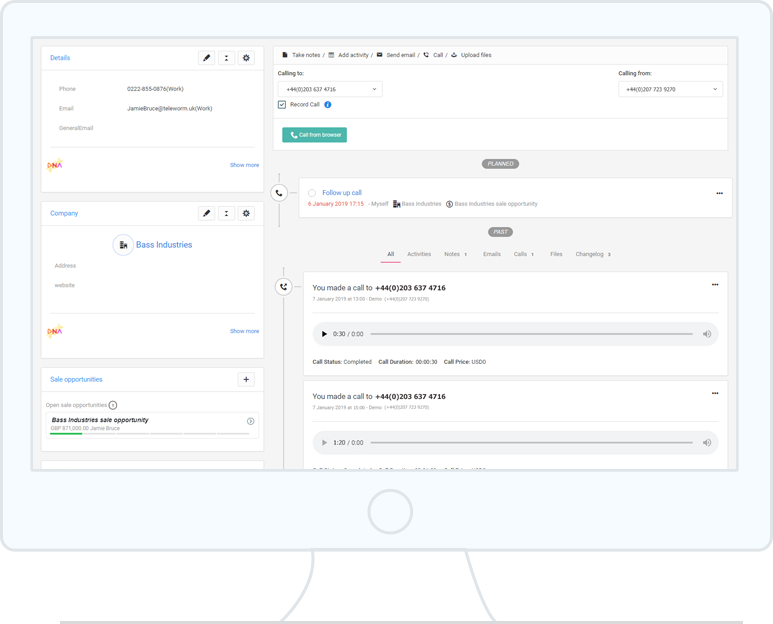 Capture calls in real time so that they can be reviewed and analysed to highlight potential areas for improvement. Tag calls to make them easy to organise once stored, ensuring they can be identified for future reference and training purposes. Make your relationships with customers stronger and more rewarding while also adopting the most efficient, effective practices for sales calls. 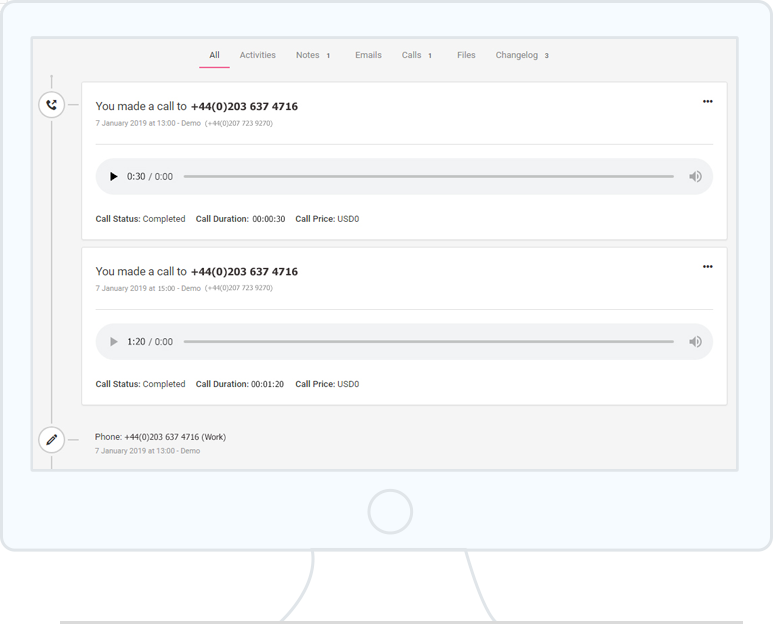 The user-friendly interface means there is no training needed for call recording. An intuitive user experience means precious calls are never lost through lack of knowledge of the software. One click is all that is needed to start and end the call recording. After that the call will be saved in the cloud for good. Simple playback features mean you don’t need a team of experts to teach you how to improve your telesales, you can do it yourself simply by listening back to your calls and picking up on parts of the conversation to improve or learn from. Managers can also listen, through a centralised system, to all of their teams calls. Call recording will also help you catch up on what happened with past clients and allow for the micro-personalisation of your service, an essential tool for the modern digital age. Dispute resolution can be a big issue in telesales, telemarketing and partnership programs. Smarty CRM will be sure you are always on the right side of the truth. The ability to listen back through all old calls means you know exactly what was said, how it was said and who said it. What’s more you can always share these recordings with your clients should there ever be an issue.